Ashlee opened Array Salon, with her husband Bryan in May of 2011. She has a passion to create a positive and exciting atmosphere where guests can feel comfortable AND get world-class hair styles. She wants it to be all about you from the moment you enter the salon. Ashlee and Bryan carefully pick their stylists, not only for their talent, but for their understanding of each guests unique qualities and lifestyles. Ashlee aspires to provide a unique experience for each guest by enhancing those qualities through hair and style. She seeks to ensure each guest leaves feeling great about their experience at Array Salon. 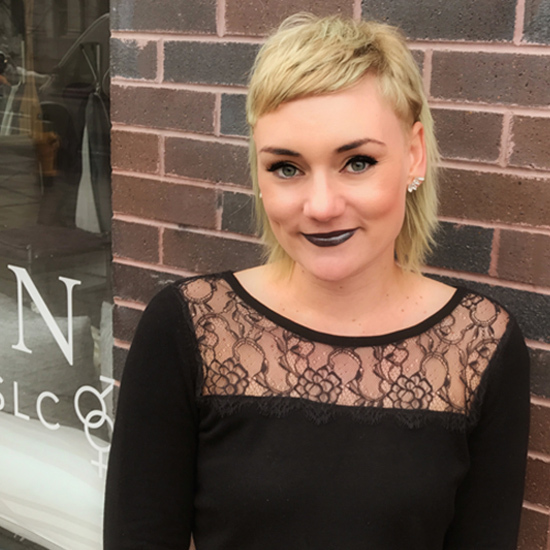 Ashlee studied hair and cosmetology at Salt Lake Community College and has taken various classes from educators around the world. She has a tremendous respect for learning. She shares her expertise and encourages Array Salon’s stylists to never stop learning new techniques. Ashlee is enthusiastic about hair dressing and wouldn’t dream of being anywhere else. Except maybe on the beaches of Hawaii, but who wouldn’t!